Dan Soller began studying karate at the age of sixteen. Trained in the Japanese Oyama-Ryu Kyokushin philosophy, Soller has been a long time student of Shihan Raymond Elmore, the Chairman of the Phoenix Karatedo Association. Soller is the founder and Chief Instructor of Phoenix Karatedo Association and the La Roche College Karatedo Club. Until 1994, he served as the Chief Instructor of the Mount Saint Mary's College Karatedo Club, which he founded in 1981. The highly successful organisations promote the traditional and educational values of Karate by emphasising an individual's development and human potential. Soller's classes are taught in a disciplined atmosphere which incorporates a hard style of karate, and direct, proactive movements. He was the All Breaking Champion under Elmore and his only student to reach Shihan rank. In 1979, Soller was awarded a full teaching scholarship to develop the martial arts program at Southern Illinois University. While there, he trained hundreds of students and redesigned the curriculum to better reflect karate's aims and goals and meet students' needs. 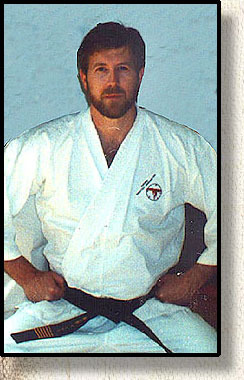 Having served as Chief Instructor for Elmore before teaching in Illinois, Soller has also organised and developed karate clubs in Virginia, New Jersey, Maryland, and Pennsylvania. He is the author of "Teaching in the College Dojo" (1983), and the "Club Guidebook" (1984), as well as the latest edition of "The Phoenix Karatedo Guidebook" (1995). He is currently holder of the 7th dan. A college administrator by profession, Soller holds academic degrees from The Richard Bland College of The College of William and Mary, James Madison University, and Southern Illinois University. He serves as a Vice President and Adjunct Professor at La Roche College in Pittsburgh, Pennsylvania. He resides in Pennsylvania with his family and two Labrador Retrievers.